How To choose the right termite Protection for your home. Or termite management system (termite barrier ).In the first place we must do a termite inspection. In fact you must get a termite inspection before any treatment. It is our legal requirement before we do anything else. In addition to the inspection we will check how the building is built.This will determine what termite management we will choose. After all you want the best protection for your most valuable asset. Additionally Insurance companies do not insure for termite damage.To get the best termite treatments and barriers. It is important to select the correct Chemical or bait for the situation. In Fact if the technician does not choose the correct treatment you will possibly be making the situation worse. What Type of termite management systems are there? The chemical treatment is the most widely used of all systems post construction. Also the technology is far superior to the older chemicals . As well as being safer. the chemical has what they call the transfer effect. And it is undetectable to termites. first of all it kills termites through contact and ingestion. and because they can’t detect it, termites are not aware of ingesting the chemical when they eat. They go about their normal activities and will still be killed by contact with Termidor even when they are not eating. Also the treatment lasts up to eight years. and you can get a full warranty . subject to you fixing any issues that is pointed out during your inspection.The barrier must be installed to a standard. and must go completely around the home to give full protection.Termidor can control termite populations faster than any other treatment. and it is slow-acting in termites. What this means is termites have ample time before dying to spread Termidor to their nest, and the entire colony. 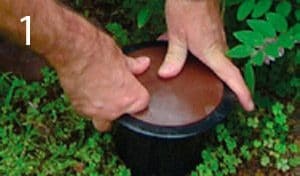 Baiting systems are the go to when you can't protect a home with a chemical barrier Treatment.The Baiting system can be used for all situations. 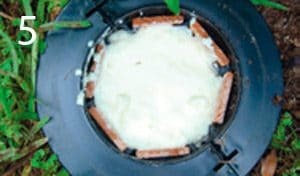 and are a great option as it is a safe, environmentally friendly way to eliminate termites.If you install a baiting system you get the added benefit of the inspector checking around your home on a regular basis. You must install the stations at no more than three meters apart.They also must go completely around the house . You add bait to the stations without disturbing the termites. This is important to get quick and good results. The bait is highly palatable to termites and they consume it in preference to timber. In fact, studies show that once termites start feeding on the bait they stop feeding on the timbers in your home! The bait is also non-toxic to you and your pets. The termites feed on the bait and take it back to the colony where it is fed slowly throughout the entire colony. Since the termites die slowly, they do not associate the colony's destruction with the feeding on the bait. 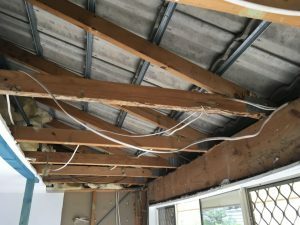 The Building Code of Australia gives strict guidelines for these systems and it is now the most used method of protecting new homes , to stop termites entering the home from underneath the concrete slab. In the long run the physical system should last for at least 50 years which is a lot longer than the chemical under slab treatments. Most importantly these systems do not protect termites entering from the outside. So if you are just relying on this system you must make sure to keep moisture , gardens away from your house. 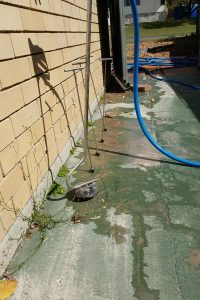 Together with this system you must keep your concrete slab edge and inspection zone clear to a minimum of 75mm. In Fact this will allow you to see any termites entering your home and that is what physical systems are designed to do. So if you need advice on what system to use give Vicki or Lauren a call or fill out the online form to organise your yearly inspection and we will be happy to help you out.